There are 285 breakout sessions at #Inbound16. Where do you start? Which sessions should you attend? Which track should you focus on? Just yesterday I jumped on the phone with a client to provide some guidance. Here’s the framework we chatted about. 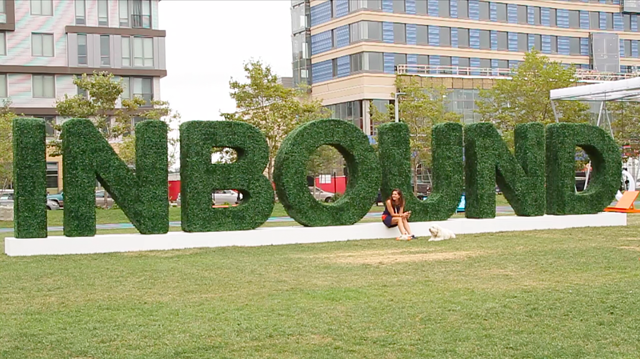 What do you want to learn at Inbound? Think of a goal. Are you working on a new skill? Want to know how to demonstrate the value of a new product or service to a customer? Need a new social media game plan? To help you meet your goal, choose one track that aligns with your goal and stick to it. Attend sessions that only serve your goal. Treat each break-out session like building blocks to learning your new skill or game plan. Level up by sharing your take-away with your team. Not planning on debriefing with your boss? Hold a post-Inbound “show and tell” session. Talk about your goal for INBOUND, why you picked that goal, list the sessions you attended and lessons learned, and how you might potentially apply said take-away directly to your job. Think about it. At the end of week if you attended 6 sessions in total, that's 6 new things you learned! Time well spent, for sure! Hazzah! If you haven’t experienced this before, NEWS FLASH: everything at INBOUND fills up wicked fast. Take breakout sessions. It’s completely normal to queue up 20-30 before the session start time. And equally normal for your first choice to reach capacity just a few heads in front of you. Picking back-up options (bold talk, book signing, food cart see more on that below 👇) with staggering start times, say 11am and 11:30am. This will give you the wiggle room to switch gears ninja-fast and line up for your back-up option with plenty of time to ensure you get in on the fun. Score! If you can’t make (or missed) the main 600-person session today at 1pm in Ballroom East, get to the encore session tomorrow, Thursday, November 9th at 3:30pm in East 153. You’ll learn all about how to clear out unqualified leads and gain permanent control over your contact database. 5. Attend a party or two! Don't miss the seaport parties and networking events. And don't be a wallflower. Reach out to others and form a party-hopping brigade. It’s the perfect opportunity to talk shop with other marketers--that's half of the other value of the conference. Find a HubSpot employee or HubSpot Agency Partner you can team up with and take on the night. Need networking advice? Here are our greatest tips on "working the room." 7. Do you like to run? Ever wondered what it was like to run like an elite runner? Me too. Well, this is our chance. Boston's very own Nike Running Adult Team coach, Dan Fitzgerald, is leading 2 running clinics this week, tomorrow, Thursday and Friday at 7am. Meet at Lawn on D street (the same spot the lunchtime food carts are located 😉 ). 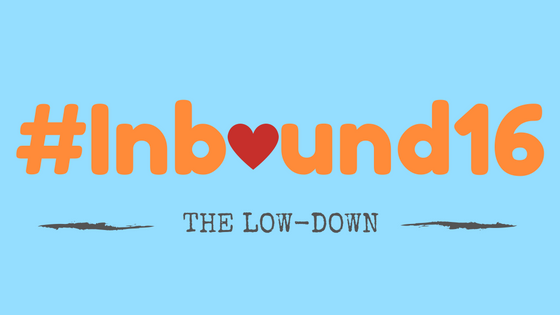 INBOUND is a conference for everyone in the Inbound movement, not just HubSpot customers and fans. So their HQ does not feature prominently in the conference (it's actually miles away). If you can, stay later on Friday to connect with a few of your favorite HubSpotters. I mean come on, it's Boston. History, people! Enough said. How about you? What are your top Inbound Conference hacks and tips? Comment below to share. A special shout out to Grey at Wireless Analytics and Trish at Media Junction for inspiration for this post! Become a better inbound marketer. Subscribe to the IMR blog. Execute better, faster, and easier marketing. Enter your email below and we'll make sure that if we write it, you’ll get it. Just fill out the form below to subscribe to updates when we post new blog content. Let's talk about this! Leave a comment below.